Separate But Equal Now Being Demanded by Muslims? Are Muslims in Denver taking us back to the Reconstruction days of Plessy v. Ferguson? 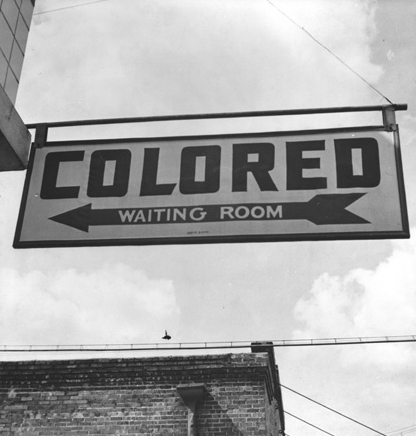 Americans instinctively recoil nowadays at the thought of “separate but equal” laws. How can we possibly single out a group of Americans based on their skin color, ethnic background, or religious preference? Such separation denies basic freedoms inherent in the Constitution. And yet, Muslims in Denver might ironically be asking for separate but equal treatment in order to remain true to Islam. There is an ABC News story concerning a controversy at the Denver International Airport. The controversy has to do with whether it is legal or not for the airport to announce the times of the Catholic Mass. In former times, the airport announced the services without a problem. Then, someone complained. Now, the airport will no longer announce the services. That is the basic summary of the controversy. The real issue that caught my eye, however, was a throw-away line from the ABC story. At the very end of the story, the writer says the chapel (in which the Roman Catholic services are to be held) is jointly owned by an organization of Protestants, Roman Catholics, and Muslims. The Muslims, however, have a separate (but equal?) meeting room. A number of websites have reported that the separation is on account of Muslim refusal to share the same chapel space with Christians. So, I thought it would be interesting to learn more about sacred space in Islam. Some websites quoted Surahs in favor of Muslims maintaining strict separation from Christians and Jews. Do any of you know what Islam teaches about sharing a public meeting space with people of other faiths? If the situation is actually as it currently appears, then tons of other questions will be raised in my mind concerning the interaction of Muslims with the various other faiths represented publicly in the USA. This entry was posted in Persecution, Politics, Worldview and tagged ABC News, christian, denver, Denver International Airport, Islam, Muslim, Persecution, Religion and Spirituality, United States. Bookmark the permalink.